This designed specifically for owls place is situated on the top of our educational path. 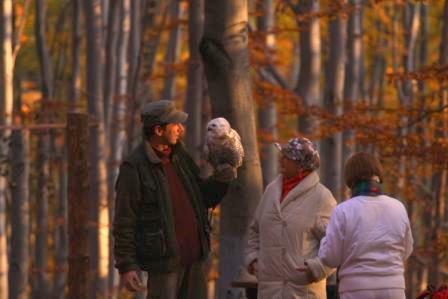 Aviaries are situated in the shade of old beech trees, you can watch there these mysterious birds which are symbols of wisdom. The main attraction of Owlery are flight shows. On our demonstration, we can convince that they are not just a night birds, but they are very good with flying in the day. 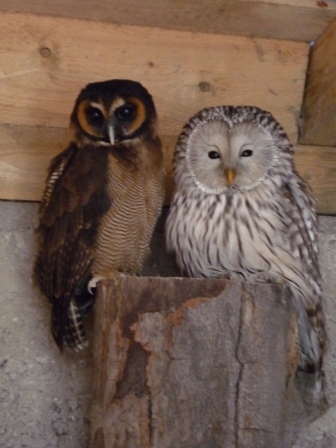 Their temperament and behavior are quite different in comparison with birds of prey and we can find that out here. from November to March: 12:00.